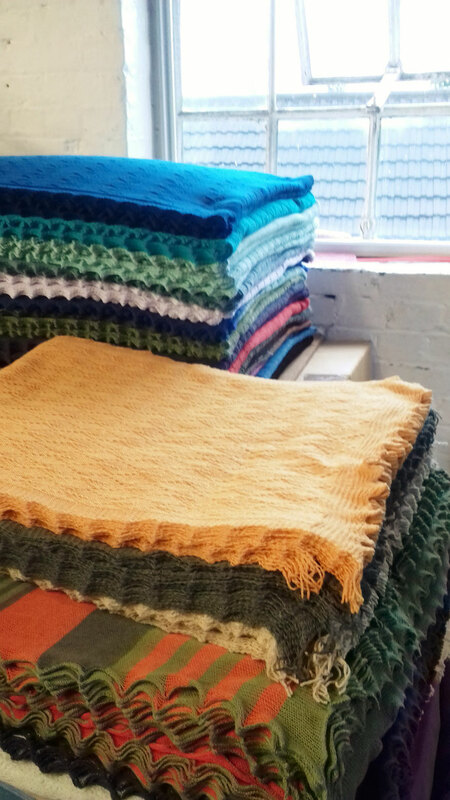 Nottingham has a long and proud history of lace production and knitting. 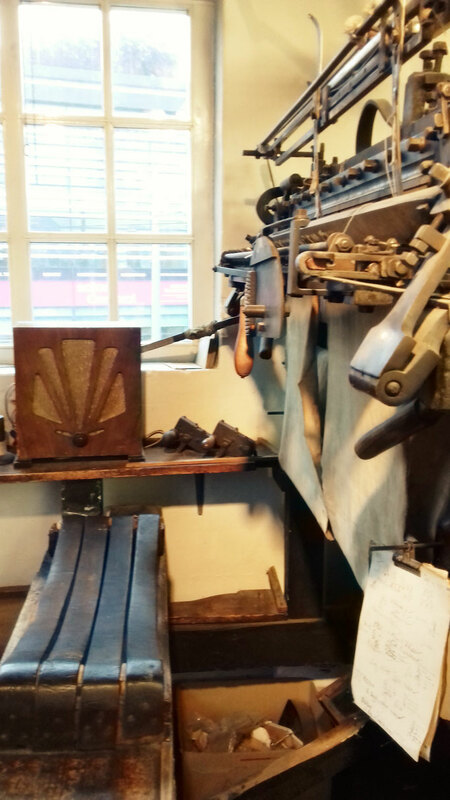 In Calverton around 1589 the Reverend William Lee invented the first frame knitting machine. 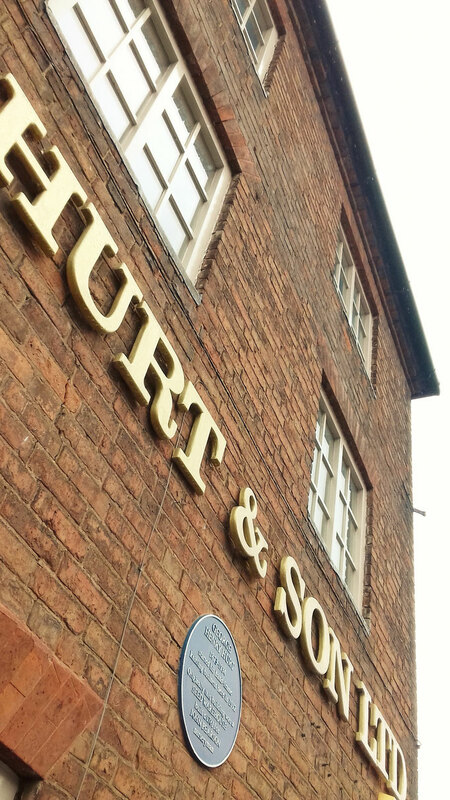 On Saturday we were delighted to have the opportunity to visit the prestigious Nottingham company, GH Hurt & Son, which carries on this rich tradition of fine knitted lace production to the present day. 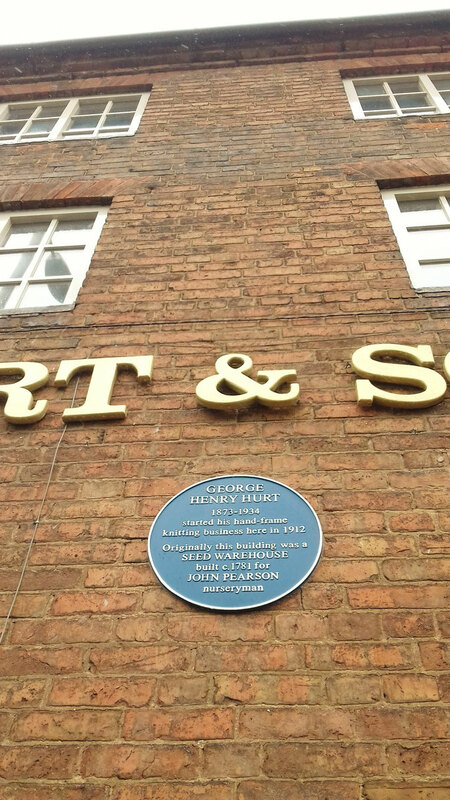 GH Hurt & Son were established in 1912 and firmly remain a family run business. 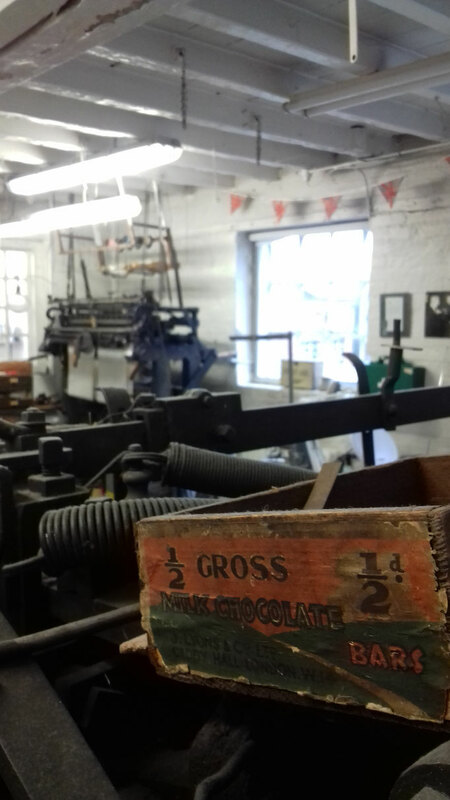 Housed in a seed mill built in 1781 you cannot mistake the sense of history that permeates throughout the building. Heavy oak beamed ceilings and a winding steep staircase are a fine setting for the rare frame knitting machines which jostle for space amongst the beautiful fine lace shawls in a myriad of fabulous hues and colours. 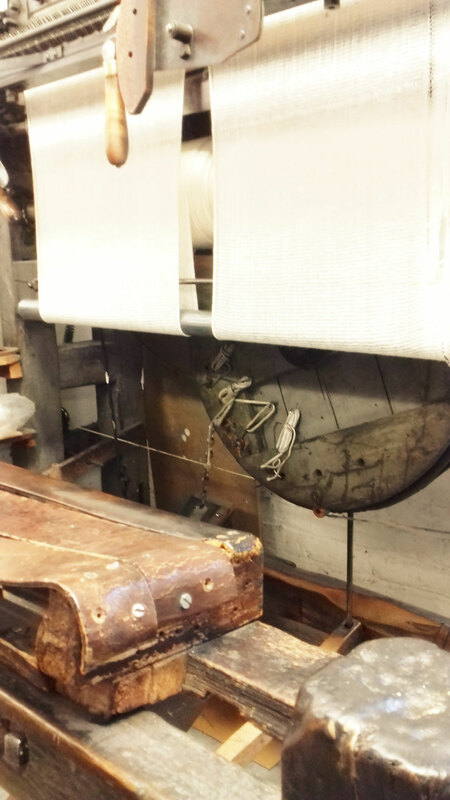 The modern machinery is housed in a building next door and it busies itself producing metres of fabulously patterned fine lace in its own mesmeric rhythm. The workers are justifiably proud of their product and there is a palpable sense of pride in every stage of production. They were without exception happy to explain their role from the machine stage through to hand finishing techniques and answer any questions regarding the production of this exquisite product. Working with designers such as Paul Smith, Dior and Burberry and with the newest members of the royal family being snapped leaving the maternity ward swaddled in GH Hurt & Son baby shawls, the future looks great for the next hundred year or two. 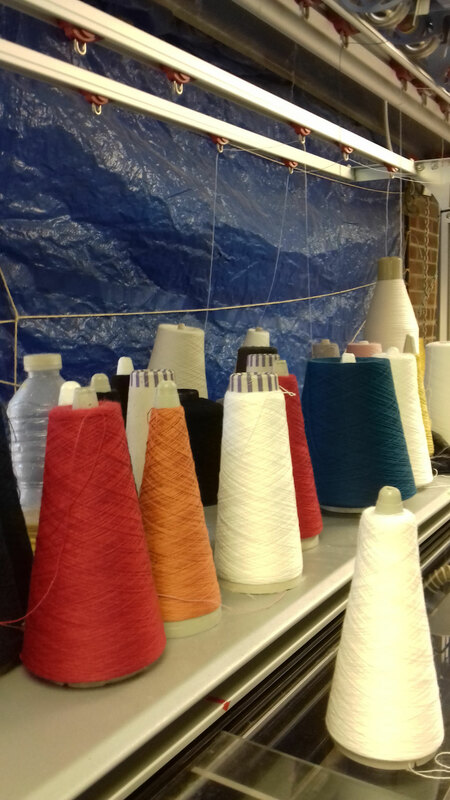 We were also fortunate enough to have a chat with one of the directors (fourth generation of the family to run the business), Gillian Taylor whose excitement and enthusiasm for Nottingham fine lace and the Notts region in general is infectious. 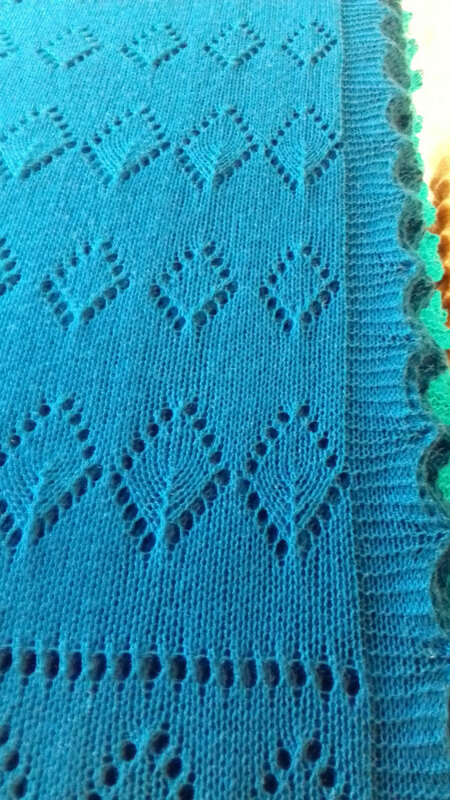 I couldn’t resist showing Gillian my own contribution to Nottingham lace in the form of my Wollaton shawl, in its own way, homage to the fine history of lace in this region. She was very complimentary about the product and gave her time generously, showing genuine interest in the fledgling sherwood yarn. 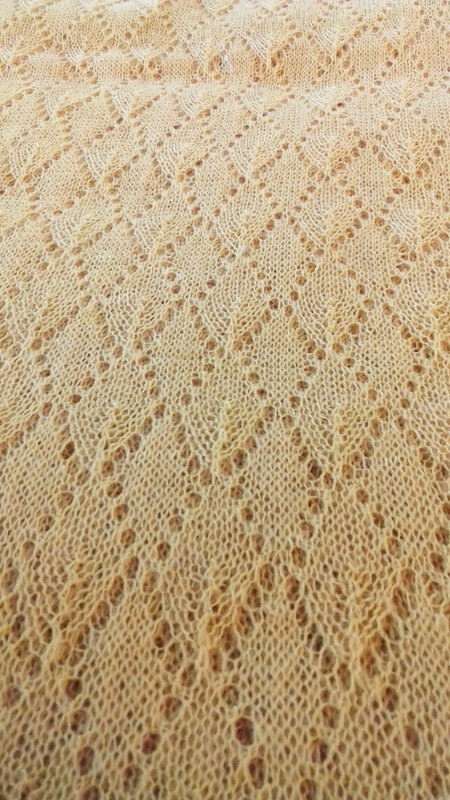 The visit met and indeed exceeded all expectations and it served to illustrate the place of Nottingham in the production of fine knitted lace and more importantly where it’s future lies.